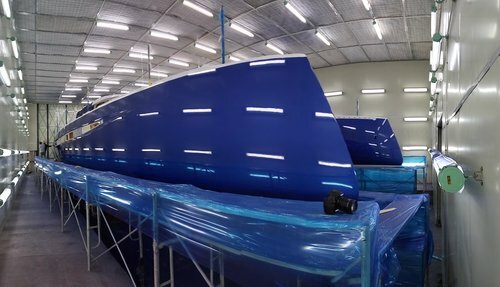 HH66-05 left the spray booth yesterday after receiving the final touches of her incredible "peppermint blue' metallic top coat. She's now all under wraps and back on the factory floor. We stole a few quick photos of her impressive paint job before she was all covered up.